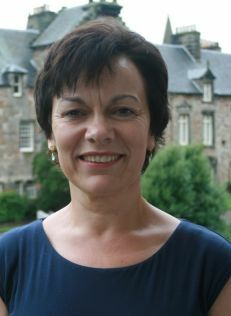 Verity Brown is Provost of St Leonard's College at the University of St Andrews in Scotland. 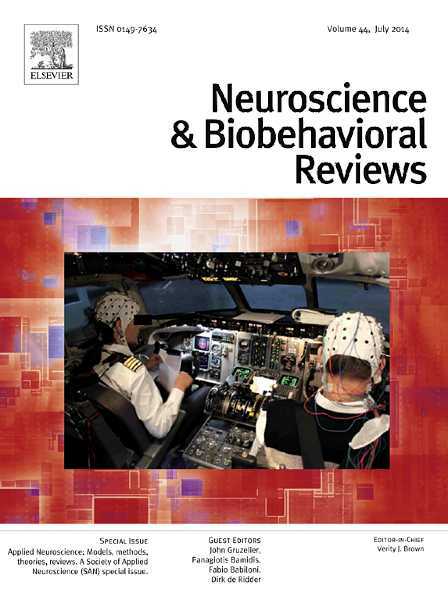 She is also Editor-in-Chief of Neuroscience and Biobehavioral Reviews. In this article, she reflects on one of the most frequent routes followed in the journey from journal reader to Editor-in-Chief. Most early career researchers (ECRs) do not spend much time wondering about how to become a journal Editor-in-Chief (EiC). Indeed, if someone had asked me, as an ECR, to guess the journal which would invite me to be EiC, I would likely have replied that I had not even decided where to send my latest manuscript. As we become more established as researchers, we tend to have a 'favorite' journal (or a few favorites). This journal is likely to be fairly specialized and closely match our standard research outputs – in other words, the journal with the best scientific fit for our work. We read a higher percentage of papers published in that journal and we think of that title first when considering where to send our own work. Such a relationship between a journal and its readers and authors develops over a long period: it actually operates rather like Elsevier's Journal Finder tool, which takes the title and abstract of the paper you want to submit and matches it to potential journals. The biggest difference is that our own mental database of 'where papers like mine are published' builds far more slowly. However, unlike the Journal Finder tool, there is also a sociological element in our relationship with a preferred journal, beyond a simple key word match. Journals declare their 'scope' (the nature of the submissions they solicit) which informs us about the expertise of the Editor, the Editorial Board and the reviewers. It tells us the likelihood of receiving knowledgeable, rigorous and valid scientific critique to improve the work. When selecting a journal for our manuscript, we consider who it is that we would like to read and evaluate our work. This connection between the journal and the community is rather more personal than is implied by automated submission systems and the output of database searching. The EiC is someone we come to know, whether because we corresponded with them about a manuscript or by scientific reputation. Perhaps we even met at a conference. Similarly, when it comes to the Board members, we may recognize a high proportion of their names and be familiar with their research. We (and quite likely the Editor and Board members) might belong to the scientific society that sponsors the journal, giving us a sense of loyalty or an additional reason to want the journal to be prestigious and successful: many societies rely on income from a journal. Our membership of a scientific sub-community is likely to have evolved without us being aware of it or giving it much thought, let alone active management. Most invitations I receive to review manuscripts come from a small number of journals (my 'favorites') but I cannot say whether they chose me or I chose them. Establishing a reputation as a valuable reviewer earns you a special place in the community of a journal. When new members of the Editorial Board are being considered, the Editor is very likely to first consider people who have served the journal well, as both a well-cited author and a valuable reviewer. Being invited to join an Editorial Board is a compliment. It indicates that the Editor is pleased to have your name associated with the journal and believes that you can contribute to its success. Different journals use the Editorial Board in different ways: some Boards are asked to act as the reviewing panel or be 'handling' editors, selecting and inviting reviewers for manuscripts. Other Boards are used in a more advisory capacity, and are consulted on, for example, the marketing strategy for the journal. This is particularly true for journals, like my own, where the EiC is supported by a number of Associate Editors who process manuscripts independently of the EiC. In such cases, the Board is rarely used for reviewing manuscripts, other than perhaps adjudicating complex cases, but is asked to support and promote the journal, which includes contributing, as well as soliciting, manuscripts and generally raising the profile of the journal so that leading authors are encouraged to submit their best work. The annual Board Meeting, which most journals arrange, is an important opportunity for the Board to influence the direction of the journal. A Board meeting is often scheduled to coincide with a major conference at which a good number of board members are likely to be present. This is done so that academics, with limits on both time and budget, are not asked to make a 'special trip' to a Board meeting. The downside is that the conference is often a competing attraction! A valuable Board Member participates in the annual review of the journal's performance, which takes into consideration the journal's 'metrics' - including the Impact Factor – which report on the long-term health of the journal. The journal needs a good (hopefully increasing) submission rate and factors such as rejection rate and reviewing time feed into this. Active participation by Editorial Board members is gratefully received by the EiC and the Publisher, as it can help to keep the journal on track. Just as being a valuable reviewer earned an invitation to the Editorial Board, it is from amongst the valuable Board members that an EiC is most likely to be selected. There is a lot of debate in science about why there are few women in senior roles (including positions like EiC). If we spend more time reflecting on how (and perhaps also why) people move to senior positions, it could help us to identify why women are less likely than men to do so… and then perhaps we would know what to do about it. In her role as Provost of St Leonard's College at the University of St Andrews, Professor Verity J Brown provides academic leadership for the College, which is the primary focus for research postgraduates and early career researchers at the University. Her academic background is behavioral neuroscience, with her main research interest being to elucidate the cognitive impairments associated with psychiatric illnesses and to identify potential pharmacological strategies to alleviate these. Educated at University College London and the University of Cambridge, Professor Brown has been at St Andrews since 1993 and, before assuming the role of Provost, was Head of the School of Psychology & Neuroscience (2000-2006 and 2011-2013). She is Editor-in-Chief of the journal Neuroscience and Biobehavioral Reviews, a Royal Society Industry Fellow, and is Fellow of the Royal Society of Edinburgh, the Society of Biology and the Higher Education Academy.